Our cleaners are used worldwide by Airlines, Airports, Aircraft Handlers and Approved Maintenance Organizations. We at Zaviation sell and ship our cleaners worldwide. Contact us today. Concentrated aircraft lavatory bowl deodorizer formulated for the long-haul. Controls bacterial odor and maintains color during long flights. Avoid service failures and odor in the cabin with Pure-Fect. Specifications: Boeing D6-17487 *applicable tests, Douglas CSD#3 and AMS 14697. RTU Cleaner Disinfectant is a multi-purpose aircraft interior cleaner and disinfectant effective in the presence of 5% serum. Conveniently packaged in a ready-to-use spray bottle for portability and ease of use. RTU Cleaner Disinfectant is specially formulated to leave surface clean, disinfected and streak-free. Conforms to Boeing D6-17487, AMS 1452A and AMS 1550B. Effective against a broad spectrum of gram negative and positive organisms. Effective against HIV-1, Herpes1&2, Hepatitis B viruses. Recommended for Ebola virus prevention per CDC guidelines. Spray and wipe cleaner for aircraft interiors, exteriors, windows and mirrors. Does not affect the adhesion of decals after the cleaned surface has dried. Specially formulated streak-free formula does not contain acrylic damaging ammonia. Conforms to Boeing D6-17487, Douglas CSD#1, AMS 1534B. Significant environmental advantage over alcohol based cleaners. Use on interior and exterior aircraft surfaces. General Green is a biodegradable, non-toxic Type IV military spec cleaner. Use General Green in all aspects of your cleaning operation. A one product solution for aircraft, aircraft maintenance shops, ground support equipment, facilities, and more. Air-Brite Cones are a pleasantly scented aircraft interior odor neutralizer that controls odor for up to 30 days. The Air-Brite Cone conveniently fits in a bracket that can be suspended in any discreet location within the aircraft interior. This product can be used in aircraft lavatories or anywhere that within the aircraft interior where odor is a consistent problem. The disk conveniently fits in a bracket that can be suspended in a discreet location. This product can be used in aircraft lavatories or anywhere that odor is a constant problem. 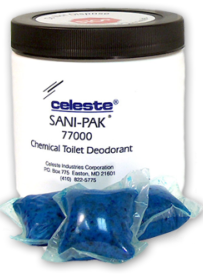 The Sani-Pak® brand is today recognized worldwide as the benchmark in aircraft lavatory chemical deodorants, and Sani-Pak® powder is the grandfather of these chemicals. Unlike other powder products, Sani-Pak® uses two types of water soluble film for optimum solubility. The single-use biodegradable packets are pre-measured for drop-in convenience for treatment of toilets. Air Canada 3125-00-002 Microbial Test. Mirabowl Q stands alone as the only effective 15 hour aircraft lavatory system cleaner and deodorizer. By combining aggressive cleaning agents found to be effective in eliminating bacteria, we have implemented a state of the art technology to create Mirabowl Q - the most cost effective aircraft lav system maintenance cleaner in the world today. 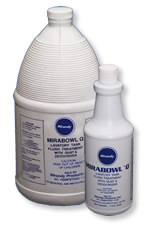 The difference between Mirabowl Q and all other aircraft lav cleaners is that it also contains water softeners, burnishing agents and other active ingredients which protect the entire system from fouling and calcification. This means that all o-rings, hoses, seals, and other parts of the system are protected and require less maintenance than when exposed to other products. It is no longer necessary to use up to five different types of aircraft cleaners to accomplish what Mirabowl Q does alone. 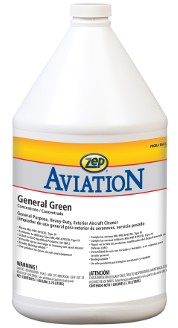 Broad spectrum disinfectant and cleaner for use on interior aircraft surfaces. 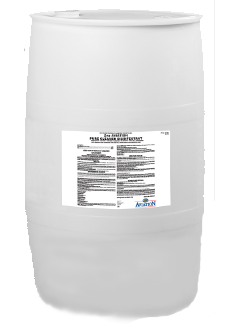 Specifically designed “hospital-strength” formula, Pure Cleaner Disinfectant meets aviation industry cleaning specifications including AMS 1550B. Conforms to aerospace specification AMS 1550B. Effective against E-Coli, Staph, Strep and the Herpes Virus. Inhibits the growth of mold, mildew and their odors.